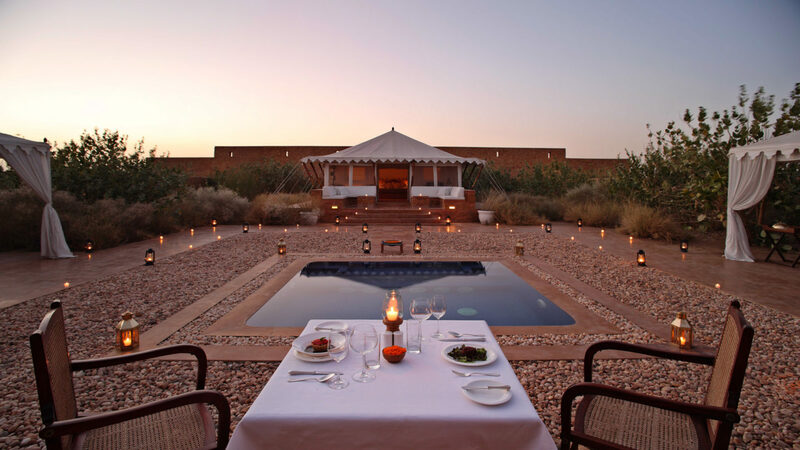 Minimalism strikes a harmonious chord with extravagance at The Serai Jaisalmer. 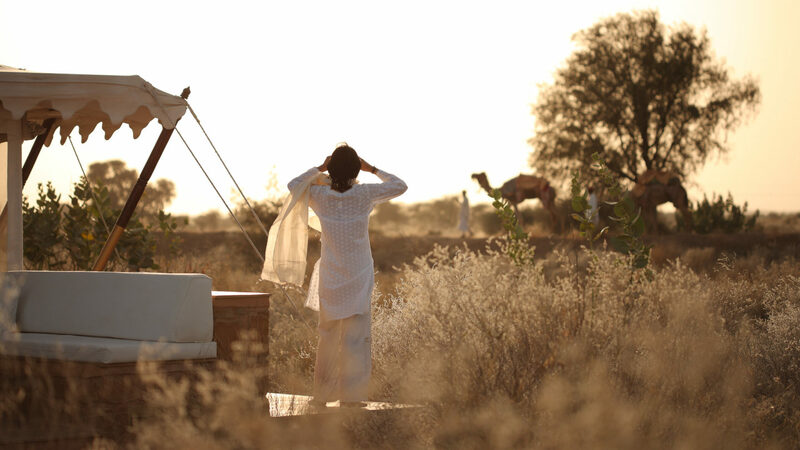 Set against 100 acres of India’s arid Thar desert in Rajasthan, known as the ancient “Land of Kings,” this crown jewel of a property draws inspiration from the royal caravan sites of Rajputana. 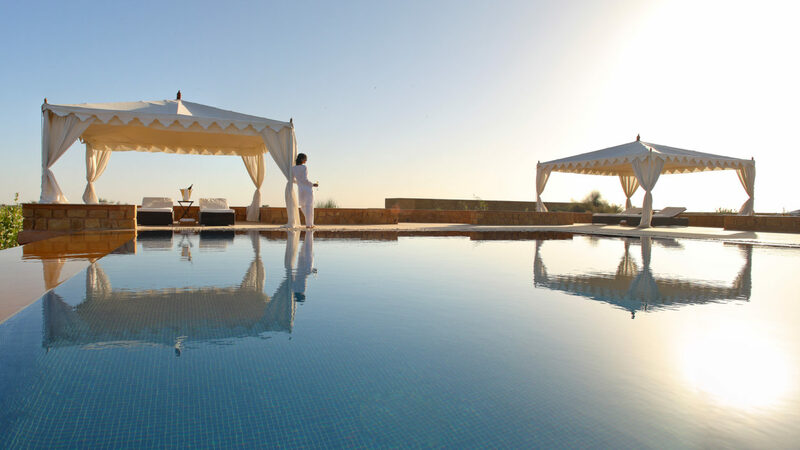 Striking hues of white and gold shine on 21 majestic tents with luxuries such as air conditioning, private spas and sunken garden pools. 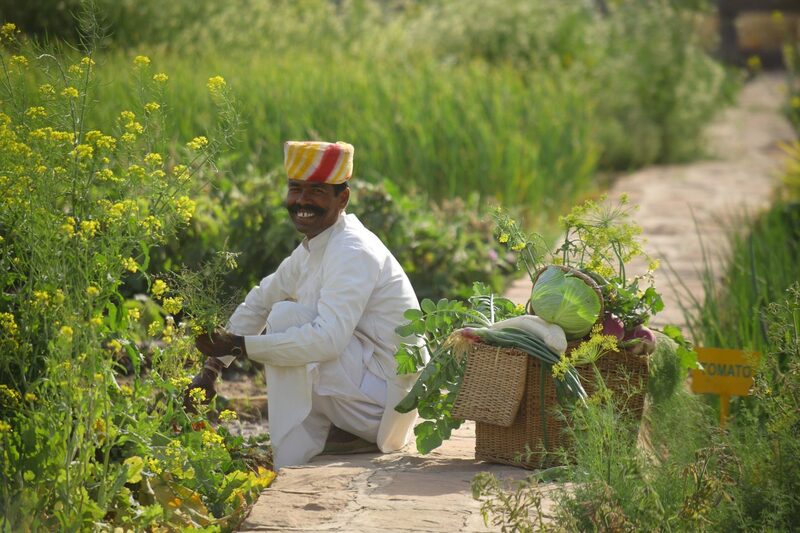 The ever-changing menus serve the most rustic form of cuisine based on traditional Indian methods of bush cooking, on the fire or under the ground on hot coals. The SUJÁN Spa’s nurturing therapies range from reflexology rituals to cleansing body scrubs that incorporate the desert’s healing herbs. The camp encourages guests to journey to the fabled, 12th-century desert kingdom of Jaisalmer, a nearby UNESCO World Heritage Site. Camel safaris, desert drives and sundowners on the sand dunes make for unforgettable experiences. Evenings are spent under the vast expanse of the desert sky, decorated by the stars and the echoes of folk songs have enchanted these dunes for centuries. The Serai is accepting reservations until March 31st, 2019 before it closes for low season. The Serai’s 21 tents are a pleasing medley of styles. 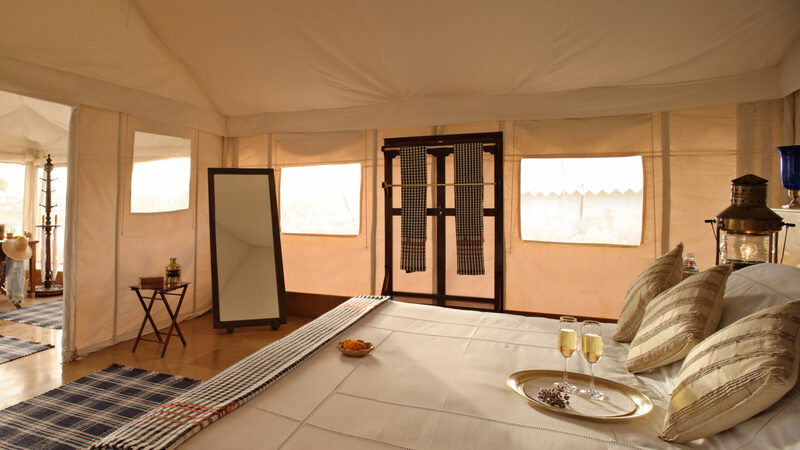 Each canvas tent is raised on honeyed sandstone and comes with its own terrace lounge looking out into the safari. Filled with natural light and dressed with stylish interiors - all carefully selected from local artisans. 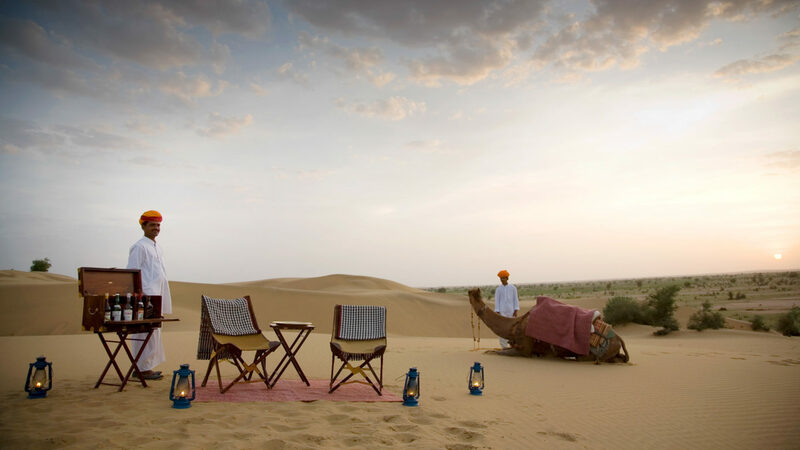 The Serai is located a comfortable distance from Jaisalmer on a private estate in the Great Thar Desert in India.